In Nigeria’s conflict-ravaged city of Maiduguri, two female Boko Haram suicide bombers killed 22 people earlier in March. Despite the gains the Nigerian military and its regional allies have ostensibly made in taking back territory from the Islamist group since last year, their combined forces have not stemmed the tide of suicide attacks. Nigeria’s President Muhammadu Buhari, who boasted of having “technically defeated” Boko Haram a few months ago, is now defending his performance as the group expands its area of operations and threatens soldiers and civilians alike. If Buhari’s offensive has not been as decisive as he promised, he can at least take credit for restoring the flow of U.S. military aid to Nigeria and its partners—President Barack Obama has even sent troops and drones to neighboring Cameroon to support the anti-insurgency campaign. Before Buhari took office, the US government had held up arms sales to Nigeria’s military in relation to alleged human rights abuses. That is not to say, of course, that the behavior of Nigeria’s security forces has changed much since the new government came to power: suspected militants are still executed without trial, while at least 300 Shia Nigerians were killed and buried in mass graves this past December. There is no question the United States should take human rights into account when aiding countries overseas. As revealed by Nigeria’s case, however, that commitment often seems circumstantial to outside observers and exposes a painful double standard under which political amities matter more than innocent lives. Just a few months after the U.S. government invoked legal barriers against weapons sales to Abuja, it helped Saudi Arabia begin a bombing campaign in Yemen that has killed 3,000 civilians to date and shows no signs of abating. That is not to mention the bombings, drone strikes, and other destructive interventions the U.S. military conducts in its own right, in Africa as well as the Middle East. If the U.S. wants to practice realpolitik, such decisions could be rationalized. What American foreign policy cannot do, however, is position itself both as a cynical great power and as a defender of universal freedoms at the same time. And it certainly cannot do both concurrently in the same region. Putting well-trodden cases aside, U.S. forces are currently conducting a bombing campaign in Somalia that killed 150 people less than two weeks ago. While American officials identified those targeted as members of terrorist group al-Shabaab, there has been no indication of whether all of those killed actually had links to the group or were just bystandars. 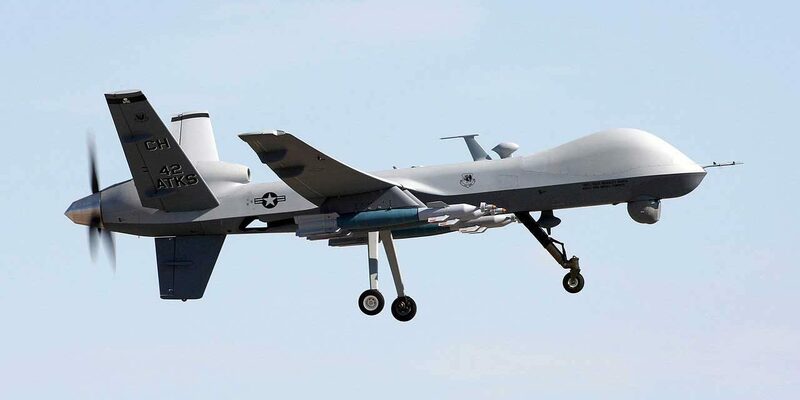 It may be tempting to take the official account at its word, but independent analyses show this is not the case—neither the Obama administration nor U.S. drone operators have a clear idea of who they are bombing, even after attacks have been carried out. The legal basis for these strikes is equally dubious: as Green Greenwald points out, the U.S. military never received approval for military force in Somalia. It is instead stretching out the 2001 Authorization for Use of Military Force (AUMF) beyond its original mandate. The U.S. is not the only country to operate under a double standard, criticizing abuses by others while concealing its own. In recent years, however, America’s enduring partnerships with autocratic states have sparked a backlash in Congress. The U.S. role in bombing Yemen, for example, has found a vocal critic in Senator Chris Murphy (D-Conn.). Murphy, who sits on the Senate Foreign Relations Committee, lambasted the intervention for “feeding the humanitarian crisis inside Yemen” and called for a halt on selling the Saudi military weapons they would use in their offensive. Across the Red Sea, the tiny but strategic country of Djibouti and its President Ismail Omar Guelleh—who host many of the U.S. forces responsible for operations in Yemen and Somalia—are also under fire from a group of Congressmen for their crackdown on pro-democracy dissidents and Guelleh’s decision to stand for a fourth term. After his government instituted a “state of emergency” in November and killed 19 people in an attack on a religious gathering in December, Congressman Duncan Hunter (R-Calif.) harshly criticized Guelleh’s “corrupt and repressive regime” as well as growing security ties with China. Hunter has been joined in his opposition to Guelleh by fellow Representatives Dana Rohrabacher (R-Calif.) and Chris Smith (R-N.J.), who call on the State Depatment to “urge” Djibouti’s autocratic president to step aside. While individual legislators cannot change foreign policy on their own, these critiques highlight the mind numbing paradox of America’s presence on the continent: U.S. forces are in Africa to strike at groups trying to attack U.S. force in Africa. It is a self-perpetuating vicious circle that pushes America into making deals with dictatorships and have the blood of innocents on its hands even as Washington’s foreign policy establishment trumpets their country’s role in promoting democracy abroad. U.S. foreign policy, in a sense, seems to be trying to wear two hats at once. For how long can this paradox endure? Stanley Opeyemi is a Nigerian law student based in Lagos.